Are you a serious bookworm? Are you seeking to impress people with your love of reading or attract only the most erudite of mates? 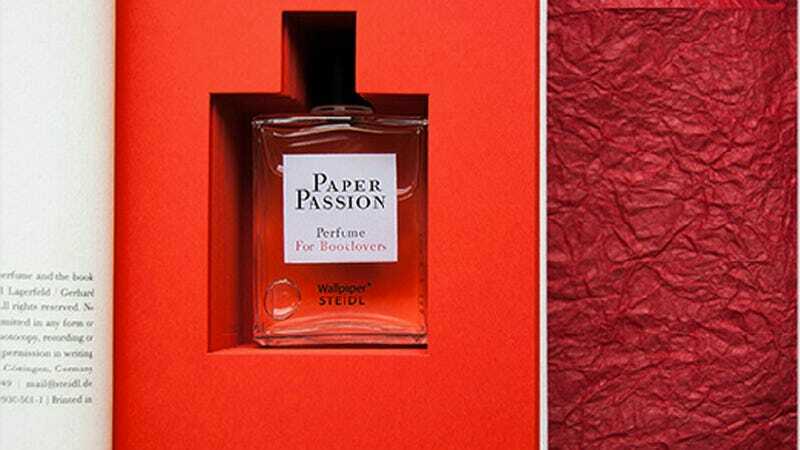 Then perhaps you would like to invest in a bottle of Paper Passion, the perfume that will make you smell exactly like a freshly printed book—because, as Karl Lagerfeld says, "The smell of a freshly printed book is the best smell in the world." Well, that and freshly baked cookies, and hyacinths, and barbecue, and, well, I could go on. Anyway, the fragrance was designed by Wallpaper* magazine in collaboration with Geza Schoen and Gerhard Steidl. The packaging was designed with Karl Lagerfeld. Obviously, it will cost you dearly: $115, to be precise. It does come inside a nifty little book, so it could be a worthwhile investment—and maybe if you're lucky and you don't bathe regularly, you'll end up smelling like the inside of a library in 20 years.